Brussels sprouts, Brassica oleracea, is a small cabbage-like leafy green in the same plant family as kale and cabbage. As you may have guessed, it’s presumed that sprouts originated in Brussels, Belgium in the 13th century, but the history of this cruciferous vegetable is fairly mysterious (compared to other vegetables that have been documented for thousands of years!). Like other members of the cabbage family, Brussels sprouts grow optimally in cool climates, with their maximum yield between 59 and 64 degrees Fahrenheit. Though this vegetable is notoriously bitter, I believe there are many preparations within a Paleo diet that bring out its amazing richness if paired with the right ingredients. I love my simple Roasted Brussels Sprouts recipe as well as my Shaved Brussels Slaw with Hazelnuts, Apple, and Mint. Nutritionally, Brussels sprouts are a powerhouse. From a macronutrient perspective, 100g of Brussels includes about 10g of carbohydrate (3.8g of which is fiber) and 3.4g of protein. Looking at micronutrients, Brussels have more than 100% of your RDV of vitamin C and vitamin K1. It is also a good source of some B vitamins (B1, B6, and folate/B9) and the minerals iron, manganese, and phosphorus. Like other members of the cabbage family, Brussels sprouts are a source of potent phytonutrients, including sulforaphane. 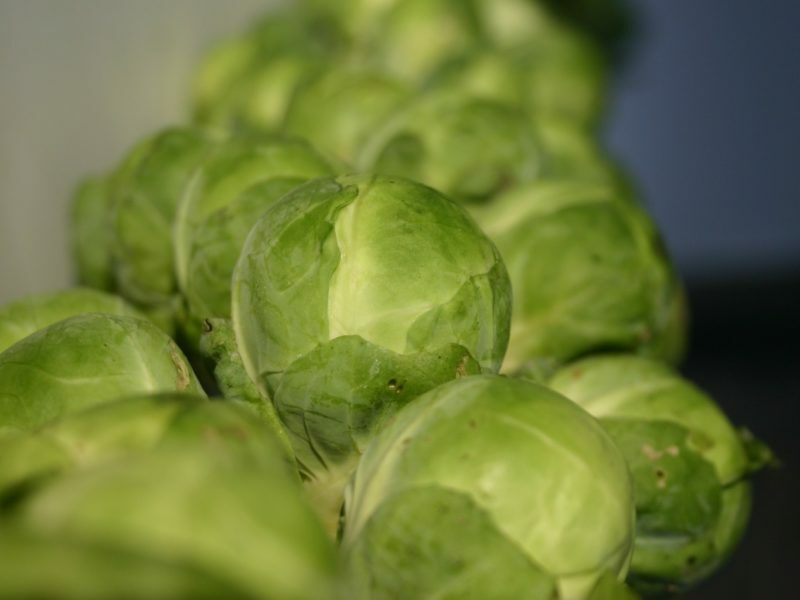 Brussels are a cold weather crop, so they are in season in the fall and early winter. That would be the time to look for them at your local farmers’ market! Otherwise, Brussels sprouts are available at most grocery stores year-round.